The court also issued a notice to the Ministry of Finance and the Initiating Officer seeking their stand on the plea by November 1. 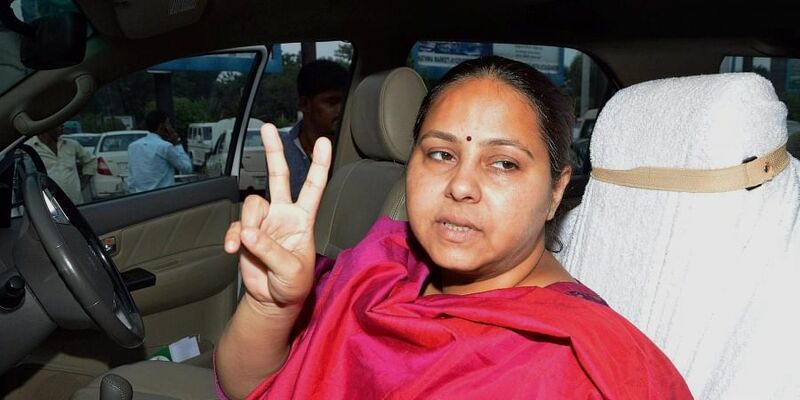 NEW DELHI: The Delhi High Court on Thursday declined to stay the show cause notice and the provisional attachment order issued against Misa Bharti's brother-in-law Nilesh Kumar under the Benami law. Bharti is the daughter of RJD Chief Lalu Prasad Yadav. Justice Vibhu Bakhru said however that the final order passed by the Initiating Officer of the Benami Prohibition Unit-1 (BPU) would not be given effect to until Kumar's petition against the show cause notice and provisional attachment order has been decided by the high court. Central government standing counsel Anurag Ahluwalia, appearing for the ministry, opposed the grant of any interim stay in the matter. The BPU, in the show cause notice dated July 24, 2018, had said that Kumar was a benamidar of the properties at Sainik Farms here purchased by a company KHK Holdings. The shares in the company are held by his brother Shailesh and sister-in-law Bharti, a Rajya Sabha MP, as Kumar had given Rs 2.05 crore to his brother to pay off the debts of the company. The BPU had asked Kumar to show cause as to why the properties in question not be treated as benami property. On July 25, BPU had issued a provisional attachment order in which also Kumar was termed as the benamidar and the funds as the benami property of Shailesh, said the plea, filed through advocate Amit Anand Tiwari. Kumar has denied the allegations and contended that the amount was given by him to his brother as a gift in 2014 through banking channels. He said the source of the Rs 2.05 crore was also explained by him and verified by the Income Tax department in Patna. The amount was the repayment of the unsecured loan he had given to a private firm, the petition said. Kumar contended that the BPU gave no reasons for arriving at its findings regarding the property and the funds. He has sought to quash of the show cause notice, the provisional attachment order and the proceedings initiated against him under the Prohibition of Benami Property Transactions Act of 1988.